VIENNA, March 29, 2012 — An experiment designed to observe quantum interactions at the Planck scale could, if successful, help bridge the gap between quantum mechanics and general relativity. It would also remove the need to rely on high-energy experiments or distant cosmic catastrophes to observe such interactions. Physicists have always sought an elegant way to unify all of physics by developing theories that relate the fundamental forces to each other. Electricity and magnetism were successfully unified in the 1800s, and then reconciled with the weak nuclear force in the 1970s. Perturbation theory connects all of the fundamental forces except for gravity. Gravity itself is still not unified for large and small objects, which are described by Einstein's theory of gravity and quantum mechanics, respectively. The two interactions are thought to converge at the Planck scale, which refers to immensely high energies and extremely small distances. 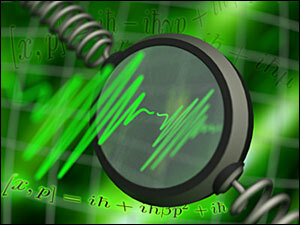 Experiments to test for a unified theory of quantum gravity are thought to be impossible, but an international collaboration between the groups of Caslav Brukner and Markus Aspelmeyer of the University of Vienna, and Myungshik Kim of Imperial College London proposes an experiment using laser pulses and Planck-mass mirrors to test predictions of quantum gravity in the laboratory. Normally, to observe events at the Planck scale, one needs energies that the most advanced high-energy experiments could never reach. Following from a weird rule in quantum mechanics, an experimenter can either know the position of an object to great certainty or the momentum, but never both, because observing the object necessarily disturbs it. Taking subsequent measurements is possible, but to a finite accuracy. Also, the result of the experiment depends on which quantity is measured first. According to many of the theories of quantum gravity, this difference should depend on the mass of the object, because the Planck length puts a limit on the measurement of distance. The new experiment uses a laser pulse that interacts four times with a moving mirror to precisely determine the difference between measuring the position first and measuring momentum first. Through careful timing and engineering, the positions and momentums will be mapped onto the laser, and be readable with quantum optical techniques. Any deviations from the expected differences could confirm the predictions of quantum gravity. "Any deviation from the expected quantum mechanical result would be very exciting," said Igor Pikovski, lead author of the paper that the group published this month in Nature Physics. Even if no discrepancies are detected, the experiment will be successful in refuting some of the theories of quantum gravity, as other theories predict different outcomes for the experiment. "Even if no deviation is observed, the results can still help in the search for possible new theories," Pikovski said.